Quebec Whale Watching - Minke Whales up close and personal. Travel Advice on cruising, things you should know before choosing a cruise company. My first recommendation if you have never cruised before is to contact a licensed travel agency or cruise specialty company. This will provide you with a couple of key elements in your travel planning that will help you select an appropriate cruise and prepare you for the things you need to do before cruising, while you are cruising and when you finish your cruise. If you have cruised before, you know that booking with an experienced agent can help you find the best deals through the CRT booking systems available only to travel agencies. If you are new to cruising, this use of expertise from a travel agency can help you avoid some unknown pitfalls, and help insure that your first cruise will not be your last cruise. Booking direct is your other option and for the cruise component, this can also have some advantages you can take advantage of before you travel. The Zimbabwe Conservation Task force was formed in April 2001 by a group of Zimbabweans, who were desperately concerned about the unacceptable levels of poaching as well as the destruction of the environment due to the break down of law and order in Zimbabwe. Please visit their website for more information. 2019 Royal Winter Fair hotels will be posted when available. 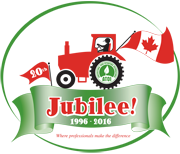 AgriTours Canada would like to thank all participants this year who attended ATOI's 20th Anniversary Jubilee Conference in Niagara Falls Ontario. For those who participated in the Post Tour in Ontario and Quebec, thanks for joining us and for allowing us to show you our beautiful provinces, and to show you some of the opportunities (among many) that are available for groups visiting Canada. As one of the Founders of ATOI, I really look forward to meeting old friends and making new friends with the new members of ATOI who have joined this great organization. Welcome to Canada.